The LG Optimus Chic E720 is now available in Europe, and will launch in South Korea next week. This cell phone comes with Android 2.2 (upgradeable to Android 2.3 Gingerbread), a 3.2-inch HVGA touchscreen, 5 megapixel camera, and DLNA support. 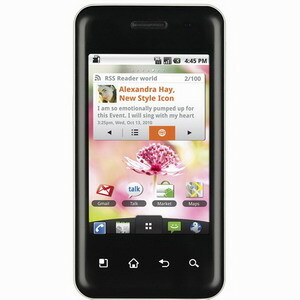 The LG Optimus Chic E720 will also be available in white, black and red in South Korea starting next week. 0 comments on "LG Optimus Chic E720 available in Europe, to launch in South Korea next week"